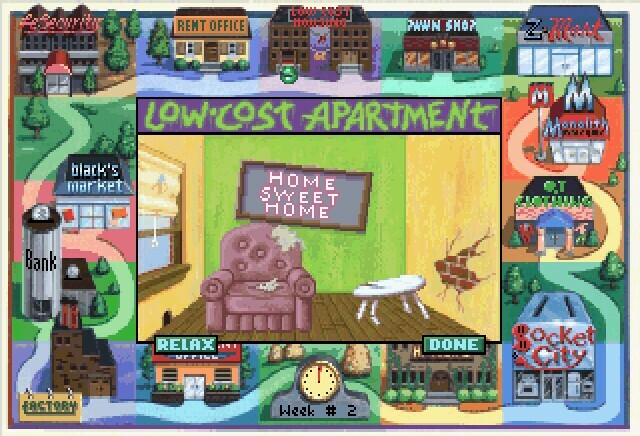 My games are genuine, install in one step, look, sound and play in Windows 10, 8, 7, Vista and XP like they did in the old days, or your money back. This is my unconditional guarantee for three years. This listing includes the original game CD. An on-screen printable manual is also included. The box is pictured for reference and is not included. I will also provide a compatibility CD that will allow the game to run under ALL VERSIONS of Windows 10, 8, 7, Vista and XP, both 32 and 64 bit. One step: Insert my CD and the game will automatically work on your computer. Done. Yes, it's that simple. Want to play? Click the icon. Want the game off your computer? Click Uninstall. Zero hassle. Rapid response technical support for three years is always an e-mail or phone call away. In the extremely rare event I cannot get this title to work on your system I will take it back for a full refund. All I ask is minimal assistance from you during the troubleshooting process. 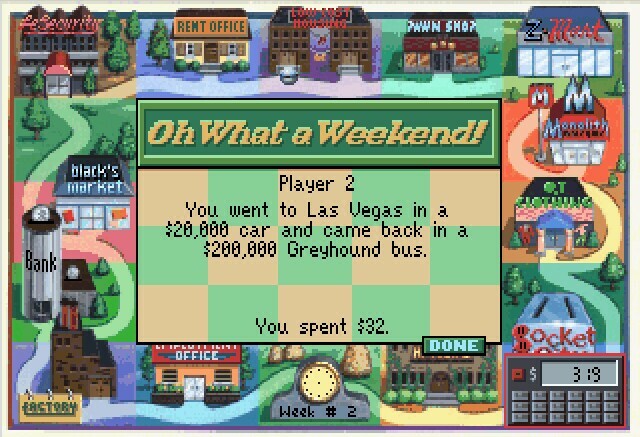 Jones in the fast lane is a pretty unique game where you live out the life of a person and you'll have to eat, work and rest, basically surviving the ordeals of modern day life. At the start you'll only get simple jobs like cooking for a fastfood place but once you gain experience and maybe get some certificates you can apply for higher paying jobs. Nothing is certain however and in times of recession you might get fired and you'll have to work simple jobs again. You can select from four characters at the start of the game and wether or not you have to compete against Jones himself and if so how hard he should try. You also need to specify how high your goals are set for each of the four items namely money, happiness, material wealth and education. At the start the only thing you own are the clothes on your back, some cash and a rental appartment so you better get a job soon. You can check out the local employment office but the only jobs you are likely to get are lowpaying simple jobs but for now they will keep you going. There's plenty of other things to do as well like study to improve your chances at better jobs, shopping for clothes and household items and going to the bank. You'll have to remember to eat as well because if you don't you'll most likely get sick and have to pay the doctor and lose precious time. Each player acts in turns which means that you get a set amount of time where you have to do all your things indicated by a clock at the bottom of the screen. When the clock is full your turn is over so remember to do the necessary things first like paying the rent and eating or you'll end up with problems the next turn. Time is calculated by the amount of things you do and everthing costs time from walking around to shopping so take care what you do. You can make life easier on yourself by buying a fridge and/or freezer so you can buy food in the supermarket which is not only cheaper but you can keep several weeks worth of it at home so you won't have to take extra time eating at another place. Getting an education is important as well because you won't get higher up the career ladder without it, there are plenty of courses to take and each of them takes nine timeslots to complete. Once you get a high paying job you can get a nice place to live and maybe buy some nice cool for your house to improve your living conditions until you are ready to retire, that means reach all your goals you set in the beginning. 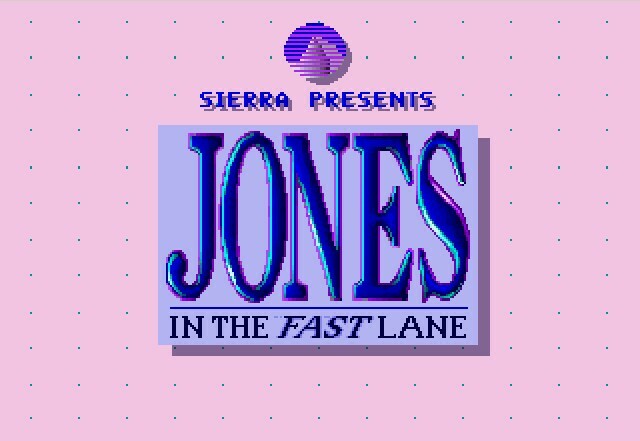 Jones in the fast lane is a pretty unique game and though it's not a realistic life simulator that kind of thing would be pretty boring. It does a pretty good job of letting you do things to get ahead in life but still keep it entertaining. You can even play it with a single player to concentrate on you efforts but playing with more than one or at least against Jones is much more fun as it will keep you from slacking off too much. 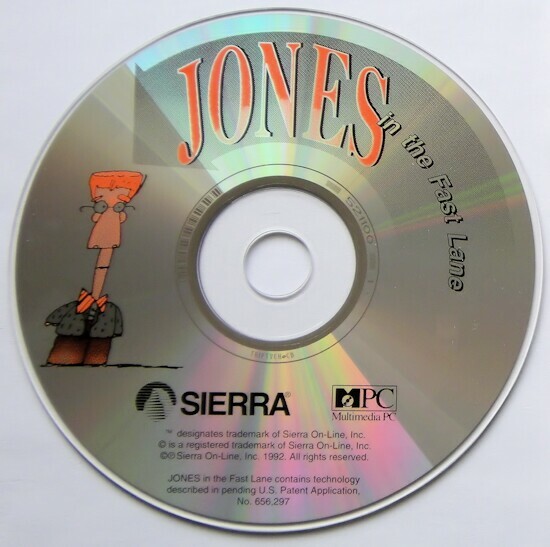 One of Sierra's best from the early 90s. Contact support@allvideo.org or use the Contact Us form.